If you haven't found beer you like, you haven't tried enough! BeerFest, BeerFeast, or Beer Tasting…Come Join the Fun! Happy International Stout Day Everyone! ← Finally! A brewery in Evansville, IN!!! It is no secret that this new Evansville brewery has won my heart. The people, their ideas, innovation, the products they are producing and the passion that lies behind Tin Man makes me feel more at home then ever before. “TINstruction” is moving along very nicely. 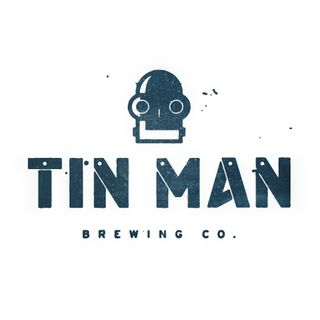 Tin Man is going to be located in an Evansville historic building that is about 120 years old. It is located (my opinion) on the best street and most deserving street in Evansville…Franklin. 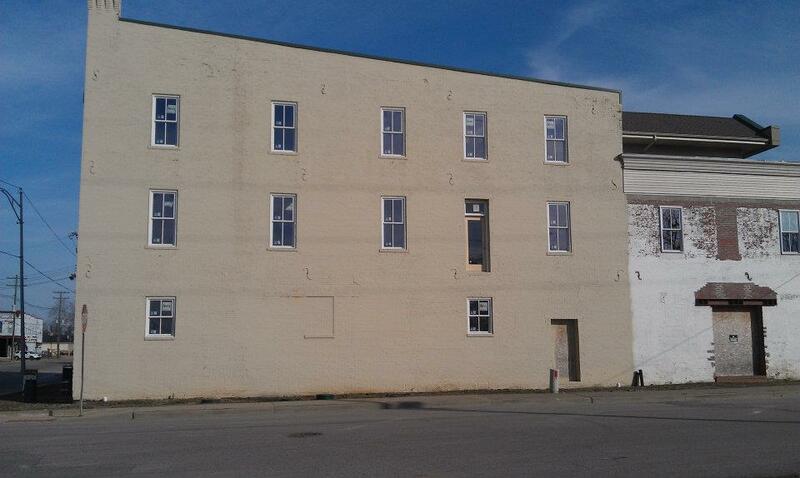 In just one week they have soda blasted all three tasting floors, demolished one building, have dug up floors, and a new garage door has been installed. It is amazing watching this project and dream of Nick Davidson’s come to life. 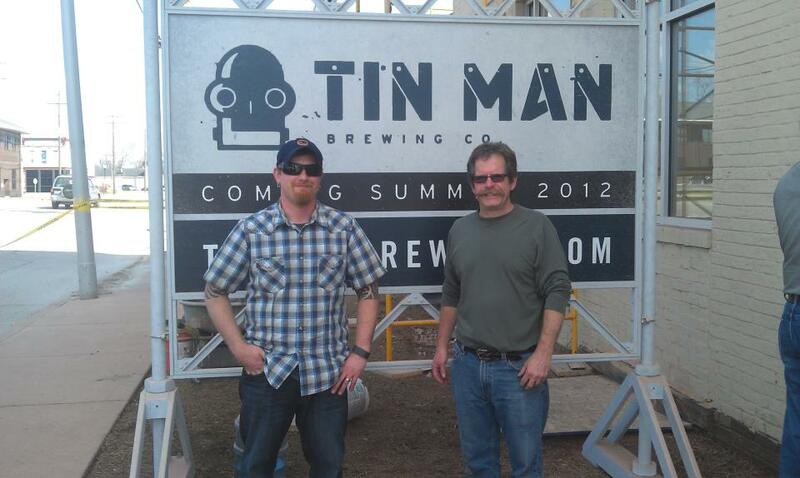 Tin Man has also decided on the five styles of beers they will be offering. I must say, each beer kicks major a**. I have been lucky enough to try them all and now lucky enough to brag about it 😉 Tin Man has also decided on their can designs that are beautiful beyond words. Matt Wagner is responsible for this fantastic design job that should not go unnoticed. Behind the scenes of “TINstruction” head brewer, Sean O’Rear, has taken me under his wing and has been mentoring me about brewing beer. I have vast knowledge about beer but actually brewing is something I have never had the pleasure of doing. Sean has taught me how to brew two beers thus far (stout and IPA) and I plan on bugging him until he teaches me how to brew MANY more. Being a brewer has slowly turned into a dream that I can’t wait to achieve one day. The Tin Man team is more then just a team but more of a family. There are many reasons why I love craft beer (taste obviously), but the connection that craft beer lovers share is one that is rare but understood widely. We appreciate, support, encourage, listen, cheer each other on, use sarcasm often and more then anything else we will always have an on going and lasting connection with each other no matter where we all may be. Tin Man is all of these plus some and I look forward to watching Evansville, the Tri-State area and everyone else that loves craft beer fall in love with them just as I have. Care to know more? Make sure and follow and “Like” them on FB and Twitter! This entry was posted in Crafting on the Rise and tagged Beer, Beer Events, Cans, Craft Beer, Evansville, Indiana, Nick Davidson, Sean O'Rear, Tin Man. Bookmark the permalink. I LOVE the design for those cans! Hurrah, that’s what I wwas searching for, what a stuff! existing here at this weblog, thanks admin oof this website. Finally! A brewery in Evansville, IN!! !